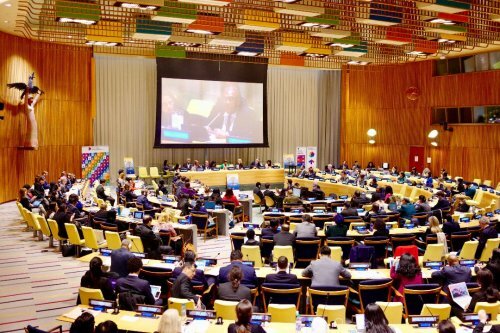 Observing that the 2030 Agenda for Sustainable Development sets out ambitious and transformative goals that are of critical importance for our world, the Minister said achieving these goals require collective action and considerable development finance � public and private, and domestic and international, which is a challenge. 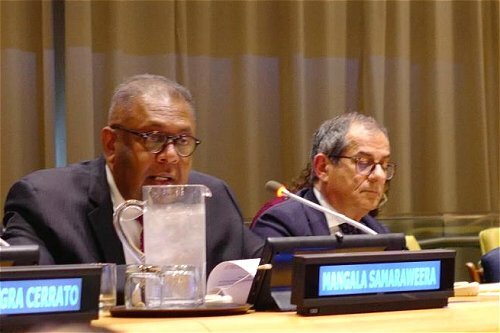 Minister Samaraweera noted that Sri Lanka has a long history of social development. Although a developing middle income nation, our investments in universal free healthcare and free education have ensured that many of Sri Lanka's social indicators are on par with advanced economies. 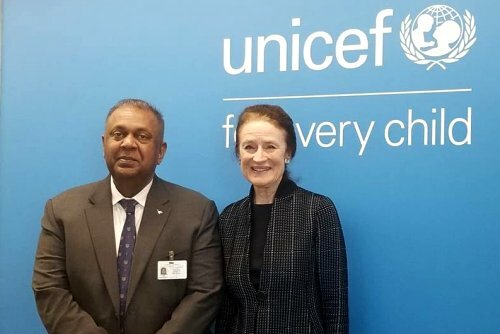 However, the Minister said, in the contemporary context, Sri Lanka has identified a number of ongoing challenges in sustainable and equitable development. Measures have been taken to address identified challenges - many of which directly relate to the SDGs. The 2019 national budget includes a number of interventions towards this end. Participating in the Ministerial Financial Dialogue Panel Discussion on 'Promoting Inclusive Growth Reducing Inequalities' on 15 April, the Minister shared with the FFD, measures taken in Sri Lanka towards this end, including details of the �Enterprise Sri Lanka� concessionary loan scheme which was launched in mid-2018 with the objective of creating 100,000 young entrepreneurs especially in the villages.